VITAMIN D – Is The Amazing Wonder Nutrient That May Prevent Or Cure Seven Common Diseases! Lack of Vitamin D has been linked to: Cancer, Diabetes, Osteoporosis, Rheumatoid Arthritis, Inflammatory Bowel Disease, Multiple Sclerosis and Autism. This amazing vitamin is available to everyone for free, because it comes from sunlight. Exposing your skin to sunlight for at least 30minutes three times a week without sunscreen is the minimum requirement each person needs, sunscreen acts as a barrier and stop vitamin D getting into the body. We should all be trying to get at least this amount every week. Contrary to some people’s belief, sunlight does not penetrate through clothes to sufficiently produce vitamin D.
Recent studies have also linked vitamin D to the prevention and potential cure of many other serious conditions including cardiovascular disease, blood pressure issues, high cholesterol levels, neurological system disorders, kidney failure, reproductive system disorders, muscle weakness, obesity, disorders of the skin and even tooth decay. Its sounds simple, and most of us think we are getting enough. The problem is 85% of us are not getting enough “sunshine vitamin” which helps fight bone loss, infection, and abnormal cell growth. World renowned physician Dr. Joseph Mercola, has gathered and released all the following research. •The authors of a 2006 article in the American Journal of Public Health state, after a review of more than 60 studies on Vitamin D and Cancer, found cancer and death could be reduced by increasing levels of Vitamin D in the body. •Breast cancer could be reduced by 50% and colon cancer by 80%. •The American Journal of Clinical Nutrition recently published showed a supplement containing Vitamin D greatly reduced the risk of type I diabetes in children if it was taken the first year of life. •50% of women with hip fractures were shown to have osteoporosis and Vitamin D deficiency. •Studies have shown an overwhelming relationship between the incidence of multiple sclerosis and latitude – the further away you live from the equator (close to the sun), the greater your risk for developing MS.
•In a recent clinical trial, people with congestive heart failure were given high doses of vitamin D. Within 9 months their bodies had produced a 43% increase in natural anti-inflammatory substances revealing that vitamin D plays an important role in reducing inflammation in heart patients. At Chiropractic Dubai our doctors see a lot of patients who may have pain, tiredness and other signs because they are deficient in Vitamin D. We encourage our patients to get enough Vitamin D from sunlight because it’s important for strong bones and is a vital vitamin for overall health and wellbeing. Our Chiropractic doctors often refer vitamin D testing so that patients can understand their vitamin D status and act upon it. We all get flu from time to time, some cases can be minor and others can be more serious. 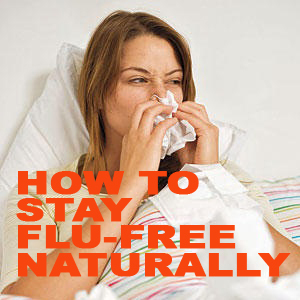 Fortunately, avoiding a serious case of the flu doesn’t always mean you have to get a flu vaccination. You can help keep your immune system in good working order so that you’re far less likely be infected with the flu to begin with, and if you do get sick with the flu, you are better prepared to get over it. 1. Optimize your vitamin D levels – Improving your vitamin D levels is one of the absolute best ways for avoiding infections of all kinds. Vitamin D deficiency may actually be the true cause behind the season flu – not the flu virus itself. This is probably the single most important action you can take. Regularly monitor your vitamin D levels to confirm your levels are within the range of 50-70 ng/ml. Your should get most of your vitamin D from safe sun exposure, which may be hard for those who cover up for religious or cultural reasons. As a last resort you can take an oral vitamin D3 supplement. 2. Avoid sugar and processed foods – Sugar weakens the your immune system. A healthy immune system is important to fighting off viruses and other illness. Be aware that sugar (such as high fructose corn syrup) in foods you may not suspect, like ketchup and fruit juice. 4. Rest – If your body is overly tired it will be harder for it to fight the flu and other diseases. 5. Find ways to de-stress – We all face some stress every day, but if stress becomes overwhelming then your body will be less able to fight off the flu and other illness. 6. Exercise regularly – When you exercise, you increase your circulation and your blood flow throughout your body. Which helps your immune system circulated better, helping your immune system find an illness before it spreads. Try high-intensity interval exercises into your routine. 7. Include Animal-Based Omega-3 Fats – Increase your intake of healthy and essential fats like the omega-3 found in foods such as Walnuts, flaxseeds, beans, fish, olive oil, which is crucial for maintaining health. It is also vitally important to avoid oils that are trans fats found in processed foods as it will seriously damage your immune response. 8. Wash your hands – Washing your hands will reduce spreading a virus to your nose, mouth or other people. It’s not necessary to use antibacterial soap for there is little evidence to say they are effective. Instead, use a simple chemical-free soap. 9. Cover your mouth and nose when you cough or sneeze – Then wash your hand straight after. If possible, avoid close contact with people who are sick, and if you are sick avoid contact with other people. 10. Use natural antibiotics In your food – These include oil of oregano and garlic. These work like antibiotics against bacteria, viruses, and protozoa in your body. And unlike pharmaceutical antibiotics, they do not appear to lead to resistance. 11. Avoid hospitals if you can – Hospitals are breeding grounds for infections and viruses. If you are not suffering from a life threatening illness, your home is the best place to recover if you are ill. LACK OF SLEEP – The Effects on your health & Chiropractic!! With our busy lives, long working hours and abundant use of technology, we find ways to eat into our valuable sleeping time. Those who do not sleep eight hours a night can initiate an onset of stress hormones in their body, which in turn, can lead to high blood pressure and poor circulation in the blood vessels. Research is being done into why headaches can be caused by sleep deprivation. Recent studies have shown that REM (The stage of sleep when we dream) may be linked to those who wake with migraine headaches. Recently much has been made of our lifespan linked to sleep deprivation. In a 2010 study published in Sleep, researchers from the University of Warwick in the U.K. found an association between early death and a lack of sleep. Although we are all different and require different amounts of sleep tailored to our personal functions, the risk of ill health is enough to be sensible and go to bed when you are tired! Chiropractic treatment has been known to be beneficial for people suffering from sleep deprivation. It offers relief to sleep disorders through mechanical manipulation. For example, manipulation can improve chest wall mechanics, so that you can breathe better for improved oxygenation. It can also help people with spasms and pain and joint dysfunction of the neck, shoulders, and back by relieving pain and restlessness while increasing spinal cord reflexes that improve blood flow. Which can help the body relax. Jaw Pain – Cracking of the jaw and headaches? Could be Temporo Mandibular Joint. Chiropractic may help! Jaw Pain – Cracking when opening the jaw and headaches? 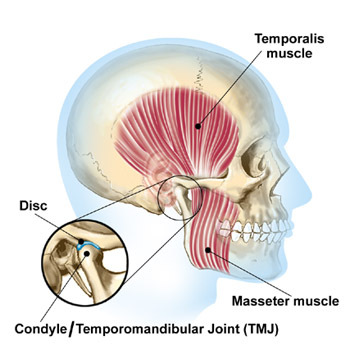 This could be TMJ the Temporo Mandibular Joint. Chiropractic may help! -Teeth grinding and teeth clenching increase the wear on the cartilage lining of the TMJ. You may be unaware of this behavior unless they are told by someone observing this pattern while sleeping or by a dental professional noticing signs of wear and tear on the teeth. Many patients awaken in the morning with jaw stiffness and pain. -Habitual gum chewing or fingernail biting. -Dental problems and misalignment of the teeth. You may complain that it is difficult to find a comfortable bite, or that the way their teeth fit together has changed. Chewing on only one side of the jaw can lead to, or be a result of, TMJ problems. -Trauma to the jaws. Previous history of broken jaw or fractured facial bones. -Stress frequently leads to unreleased nervous energy. It is very common for people under stress to release this nervous energy by either consciously or unconsciously grinding or clenching their teeth. -Tasks such as holding the telephone between the head and shoulder. Often chiropractic treatment can be very helpful for many TMJ problems, because manipulation restores normal motion and mechanics to the joint. At Chiropractic Dubai we treat many patients who endure symptoms that are worsened or even caused by the onset of stress. Most often we treat these problems in conjunction with their dentist. At Chiropractic Dubai, some patients who are unable to exercise on their own due to severe back pain, spinal injury or nervous system damage, undergo consistent treatment to prevent their muscle groups from losing strength and wasting. Our physiotherapists sometimes use Electro Muscle Stimulation equipment to stimulate wasting muscles and rehabilitate injured muscles. If muscles are not contracted, they begin to naturally deteriorate and lose strength. Electro Muscle Stimulation uses electric impulses that are transferred to the skin and cause the muscles underneath to contract. The impulses that come from the device simulate how the nervous system works when it activates a muscle. The impulses cause the same reactions that are normally sent by the central nervous system when they’re signalling the muscles to contract or move, in effect exercising the muscles. Due to sedentary lifestyles and lack of exercise one of our patients with lower back pain needed extra help. While having a treatment plan for chiropractic care, the patient also worked with one of our physiotherapist weekly to help strengthen core muscles of the lumbar spine which play an important role in the stability of the lower back. Strong core muscles help prevent injuries and maintain good posture. During lack of physical activity, the biomechanical function of the lower back is disrupted, hence making the whole back musculature prone to recurrent injury. We are one of the few clinics in Dubai who offer Electro Muscle Stimulation to help assist patients towards speedy rehabilitation. Electro Muscle Stimulation assisted exercises are effective in increasing the muscle strength by 40%. Studies have shown that the exercises assisted with Russian Electro Stimulation which is a type of burst-modulated alternating current used to contract the muscles is thought to be beneficial for muscle strengthening. Changing the endurance of the muscles from easily fatigued muscles to slow fatigued muscle fibres. Our physiotherapist worked with the patient using Russian Electro Stimulation. The patient’s core muscle strength is measured before the course of treatment and monitored throughout. The core strength muscles are measured by getting the patient to carry out the The Plank Test exercise and using a timer to time how long the patient is able to carry out The Plank Test exercise, starting with a few seconds and gradually increasing the seconds throughout their treatment. The graph demonstrates that on day 1 the patient was only able to hold themselves in The Plank position for 30 seconds, but day 10 of rehabilitation they were able to hold themselves in The Plank position for 1 minute 43 seconds, a great improvement showing increased core strength due to Chiropractic treatments, physiotherapy and exercise. At Chiropractic Dubai, 99.9% of patients who underwent lower back rehabilitation with the Russian Electro Stimulation have improved within 10 days of rehabilitation with the frequency of treatment of thrice per week for 2 weeks , then twice per week for 2 weeks. The effectiveness of this treatment also relied on the patient following a home exercise program provided by the physiotherapist. Women are more likely to suffer from Lower Back pain…Why? Educate yourself – Know your body – Prevent it – Get help with it. At Chiropractic Dubai, one of the most common complaints we get from women is of lower back pain, mainly around the pelvis. Chronic pelvic pain affects as many as 15 percent of women in some diagnosis. One reason for this is that a The pelvis and lower back supports the upper body’s weight. This area, along with the legs are involved in complicated movement such walking, running sports and standing. Pelvic pain in women occurring especially during and after pregnancy. Sitting for long periods of time and the posture a women uses while sitting is also a contributing factor. Poor posture balance whether sitting or standing can cause stress on the muscles and joints aggravating pelvic and back pain. Consider using a lumber support on your office chair. Poor fitness and weight gain especially around the waist causes weakness in the body’s ability to support itself. Strong core muscles will give your body stability of the spine, pelvis, shoulders, neck, and torso – for effective movement and spinal protection. People with pelvic and low back pain usually have weak core muscles, making their posture unstable. A major contributing factor, is that women’s bodies also go through drastic changes in life such as hormonal changes and pregnancy. Pregnant women suffer from back, neck and leg pain even more often due to the extra weight they are carrying. Hormones released while pregnant relaxes the ligaments causing the Sacroiliac Joints and pubic symphysis around the pelvis to become more unstable which increases stress on the lower back. This can sometimes cause misalignment of the pelvis which may arise during and remain after pregnancy. So with all these contributing factors, the odds of a woman getting lower back pain at some point in their life are very high. Get your posture checked by one of our Chiropractors – They will be able to see if you have any problems and can help correct an postural misalignments. If you sit for long periods of time – Get your desk set up checked to make sure you are using the correct sitting posture. Book an ergonomic and spinal check with us to ensure that you have your workstation ergonomically correct. Take regular breaks away from your desk – Have a two-minute walk around the office with regular stretches at least every 30-60mins, throughout your day. Keep active – Walk regularly and make an effort to exercise more. Join a gym or take part in exercise classes. The body needs at least 90minutes of exercise a week. Strengthen your core – Learn a full range of exercises focused on strengthening your core muscles. At Chiropractic Dubai you can work one-to-one with one of our physiotherapists, who’ll teach you the correct core strengthening exercises to support your back and avoid lower back or pelvic pain. Get help for your pain – Don’t suffer with back pain and hope it will go away on its own. The quicker you get diagnosed and treated by one of our Chiropractor the quicker we will be able to help you get back to your normal pain-free life. 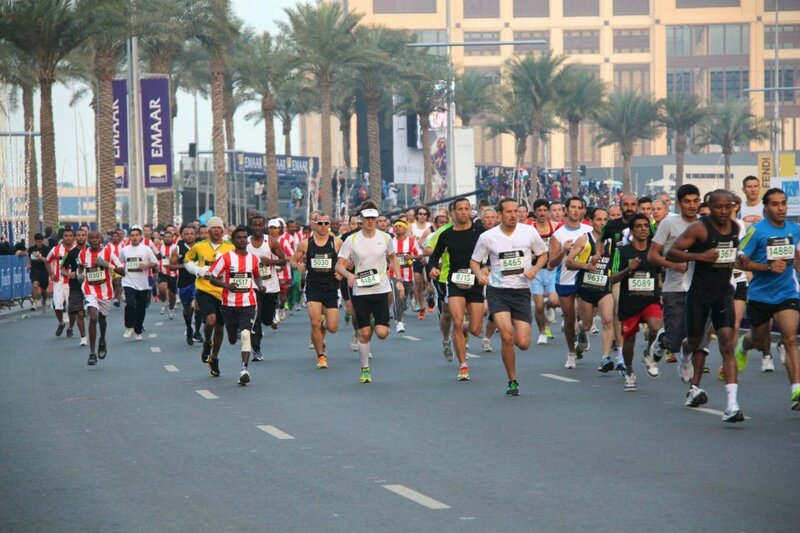 Kick start your training or take part in a sporting event like the Dubai Marathon!! !